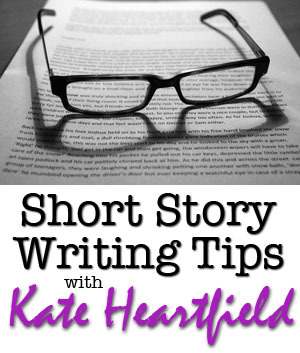 Today I’m pleased to have a guest post from my friend and agency-sister Kate Heartfield on the craft of short story writing. This is an area where I’ve struggled as a writer, but she’s found tremendous success. I asked her to come by and share some advice for aspiring short story authors. The timing is perfect, because she had two stories come out last week. The first is “Bonsaiships of Venus,” in a really nice audio reading by Keffy Kehrli, at GlitterShip. The second is “This Is the Humming Hour” which is Kate’s 6th story at Daily Science Fiction. Kate Heartfield is a journalist and fiction writer in Ottawa, Canada. She has had more than two dozen short stories published in anthologies and magazines, most in the science fiction and fantasy genres. Her most recent publications include “Isabelle the Stupendous“, a flash piece at Daily Science Fiction, “Traveller, Take Me” in audio at Podcastle, and “Limestone, Lye and the Buzzing of Flies” at Strange Horizons in print and audio. Her website is heartfieldfiction.com and she is on Twitter as @kateheartfield. She is a member of Codex, The East Block Irregulars, and SFWA. Ideas are cheap. Sometimes it’s a title, or a phrase, or a bit of dialogue. Most often (probably because I write speculative fiction) it’s some version of “what if?” “What if the swing could go all the way around the bar?” Sometimes I’ll write some sentences, quickly and without judgment, until I get one that intrigues me. Or mash together a character, a setting and a conflict. Or trade prompts or seeds with a writer friend. I keep a folder in my email called “Ideas” and send myself a quick note every time I’m struck by a phrase or a concept, even a dream. Dreams don’t often turn into good stories but sometimes there is an image or a bit of plot that makes it through. Ouch. I took it to heart. In developing the story, I am wary of the easy cliché. I am looking for story elements that are specific and strange. 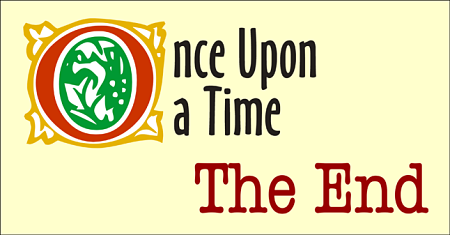 A short story can’t usually contain more than one plotline, and two or three main characters. My main character needs some sort of conflict, ideally an external and an internal conflict that will be resolved by the same action. 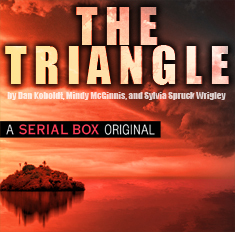 I sometimes use the Three-Act Structure, which many writers find useful. But I have found that I have a tendency to let the plot determine the character motivation, rather than the other way around, and that gets me into trouble. (“Why does the architect go into that abandoned warehouse in the first place?” “Because she needs to encounter the ghost, of course!”) So I try to outline based on character arc, as much as possible. The most useful model for me is Dan Harmon’s story circle, a much-simplified version of the Hero’s Journey. The better I get, the more drafts I require. Frustrating but true. In those early years, I’d write a pretty first draft without much story to it, send it out, and wonder why the world didn’t recognize my genius. Now, I do sometimes manage a flash piece in a single draft with a tweak here or there, especially something I’ve been thinking about for days before I write. But much more often, I need to make some structural changes, and then I need polish the prose in some way. I’ve benefited from a number of online and real-life writing workshops, and I recommend taking a few. I have also learned a lot from the many great podcasts in our field; Writing Excuses is one that’s broad-ranging and accessible for new writers. I have a real-life writer’s group, which consists of writers who are all writing within the same broad genre, and who are all in a similar enough place in our careers that we can be helpful to each other. I have also used online forums for critiques. Critiques are very useful, but it is important to know how to process the advice. A hard-and-fast “rule” for one writer might be a hoary trope for another. And not all writers value clarity to the same degree, or in the same way. Still, I rely on feedback to help me spot flaws I would not have seen otherwise. It’s also a great way to flush out the assumptions and stereotypes that creep into our writing despite our efforts. If I get a few critiques on a short story, and I don’t change a thing, I am probably being too stubborn and attached to my work. If I change everything, I am probably being too easily swayed. There is a golden mean. Now the fun part. I use Duotrope and The Submission Grinder to research markets and track submissions. Generally speaking, I start with professional markets and work down. 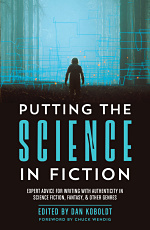 For science fiction and fantasy, professional rates are 6 cents a word and above. There are also several semi-professional magazines that pay lower rates but have good reputations, or other benefits (for example, I like seeing my work illustrated, so a magazine with illustrations gets an edge.) I personally prefer online markets, many of which are just as prestigious as their older print cousins in science fiction and fantasy these days, and which are more easily shared. But I submit to print markets too. My cover letter is simple: The title, the word count, and a few of my best publication credits. That’s it. I always follow submission guidelines, which generally require some version of standard manuscript format. In principle I have nothing against submitting to two markets simultaneously if both specifically allow that in their guidelines, but in practice I never do, because it’s rare to find top-tier markets that allow that in the SFF world. I do tend to favour markets with faster response times, which you can find out from Duotrope and the Grinder. Anything over six months had better be a really, really good market. I don’t submit to non-paying markets. I always follow the guidelines about word count and other preferences. Another benefit to Duotrope and the Grinder is that it allows you to see that everyone else is getting rejected all the time too. Rejection is the default. It happens to the pros too. I have sold 18 short stories in the last four years, half to pro markets, but I still get rejected far more often than not. Sometimes I get a personal rejection with useful advice; more often I get a form, which is just fine. If the editor says they’d like to see more, they mean that. As I’ve improved as a writer, it’s more common now for me to get a “second-round bump”, which means the first reader sent it up to the editor with a recommendation, or the editor has set it aside for a second look. Sometimes markets send emails to tell you that’s what’s going on; sometimes you just figure it out from their rejection patterns on Duotrope and the Grinder. Making second round means submissions take longer to process. It also means the chances of eventual acceptance are higher. I never respond to rejections, not even to say thanks. I’m a non-fiction editor in my day job and I know it just makes for more email clutter. Huzzah! An editor likes my work enough to tell me that if I make some changes, they’ll have another look. I have had this go both ways: sometimes it ends in acceptance, sometimes not. I have also not followed up on these when I disagreed with the suggested changes. Once in a blue moon, if I perform the proper rituals and incantations, an editor will offer to buy my story. Jubilation! First I read the email a few times to make sure, like the holder of a winning lottery ticket. Do my eyes deceive me? It does happen. Editors buy stories out of the slush from unknown writers. It happens every week in our field. It just doesn’t happen nearly as often as rejection does. At this point, or soon afterward, a contract should come. There is a reversion clause letting me publish the story elsewhere if the editors don’t publish it within a specified time (usually two years or shorter). At this point, unless the editor asks you to keep mum, it is OK to post about the acceptance on social media, phone your mom, whatever. I will post the details in my “forthcoming” section of the publications page on my website. An acceptance is not a rewrite request; usually the editor won’t have major structural changes to make once they’ve sent the contract. I’m pretty easy-going when it comes to edits, but if there is a change I don’t like for whatever reason, I will politely explain that. I’ve never had any issue with editors insisting on something that made me uncomfortable. Some editors will send a document file with changes marked; others will send proofs of the story as it will appear; others send both. Usually they will ask at this point for my bio as well, if that didn’t already happen at the contract stage. Yay! The moment of terror and triumph. I post links to the story on social media and to my website. Sometimes, I get reader feedback, either in comments on the magazine site, or in social media. Sometimes the comments are glowing; sometimes they are critical. Sometimes I even get emails from readers who liked it – that’s a day-maker. As with all things in this business, I try to remember the wise advice in the Bhagavad-Gita: I can control my labour but not the fruits of my labour. I can control my work, but not how it will be received. Sometimes, a story gets almost no response at all, and that can be hard to take. There are some great reviewers of short fiction in the SFF field, and more reviewers and bloggers joining the fray all the time. I do read reviews. I don’t always retweet them unless they have something interesting to say about the story, but I’ll thank the reviewer if they engage me on Twitter. I don’t respond to reviewers (other than those “thank yous” if it comes up) or engage in the comments. After the exclusivity period in the contract is up, I will usually send the story to one or two places to see if it will find a home as a reprint. I’m especially interested in audio versions, if the original publication didn’t have an associated podcast; or in reprint magazines with illustrations. I haven’t put much energy into seeking other-language reprints yet, but I always feel guilty that I haven’t. Bookmarking this! Thanks for sharing. Lots of helpful info & advice. This post was excellent. I’ve been really needing a good, nuts and bolts, realistic look at short story writing. Thank you! Lovely commentary. I should resurrect one I did from before the Pact fell. Typescript long gone alas. Great article. Thanks for sharing your experience. And congrats on your recent acceptance from Daily Science Fiction.